I am alwaaaaaaays on the hunt for the perfect tee. One that's not too short so you can see my button on my shorts and not too long that could be mistaken for a dress. Plus, not too sheer yet not too heavy but just right. It's like Goldilocks trying to find her porridge. Ha! Here's my four go to tees of the moment and why I love them. 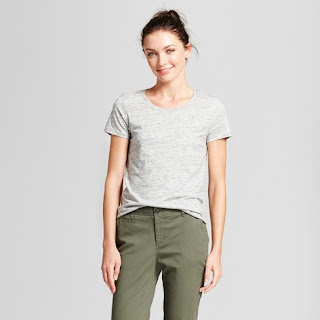 At roughly $20 per tee, they are on the pricier end of a basic, run around tee. But girrrrrrl let me tell you how comfy, cozy, soft, and just delish these are. They are my FAVORITE and when they go on sale at Nordstrom, I buy in bulk! 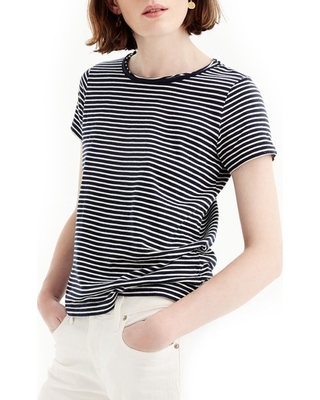 The be all and end all in striped tee will always and forever be JCrew. Seriously. The stripes are always spaced out perfectly, in the best shades that complement everyone, and are the softest cotton around. 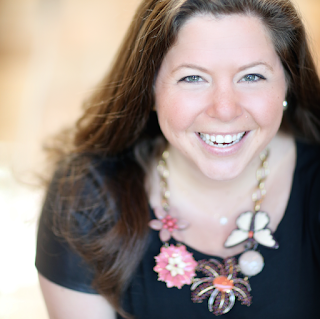 And when I say go to JCrew, not JCrew Factory, trust me on that. 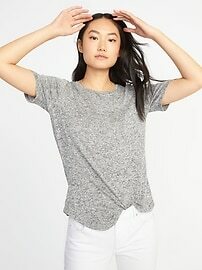 Some things you can get form factory but the tees are worth the splurge at JCrew. Always on sale. Always with a coupon code. Always comfy. They do shrink a little when you wash and dry them, so be prepared. Also, this is a bit odd, but the petite ones actually run a little big and long. Which surprises me. I can totally pass with a regular size large instead of a petite. Make that note! Target, what did I ever do before you existed?! And how will I ever survive if you go away?! The A New Day collection is just simple, classic, basics that every woman needs. And, they're $5 a piece. Yup. You read right. FIVE whole dollars. So why not get them all in every color?! Don't hate me. Love me. 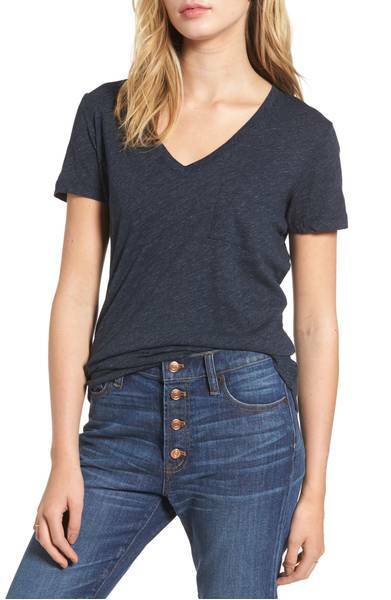 Where do you find your favorite tees?